I always look forward to the start of the arena trec season. It gives everyone a chance to polish up on their PTV skills. 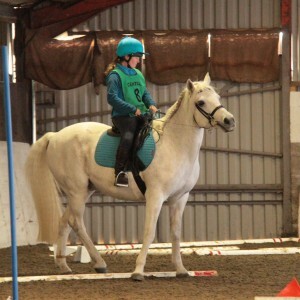 I have a ‘fragile’ horse who is rarely sound long enough to do a full trec, so arena trec is a great way for him to get out on a good day and have a bit of a party. Low Farm was the first arena trec of the season, and Sally had booked lovely weather for the day, a little chilly, but the sun was out and the rain stayed away. We had a full day of classes starting with the Open, passing through Topscore, Intermediate, Pairs, In hand, Newcomers elite to Newcomers. We a good turnout ranging from those with plenty of experience through to first timers. 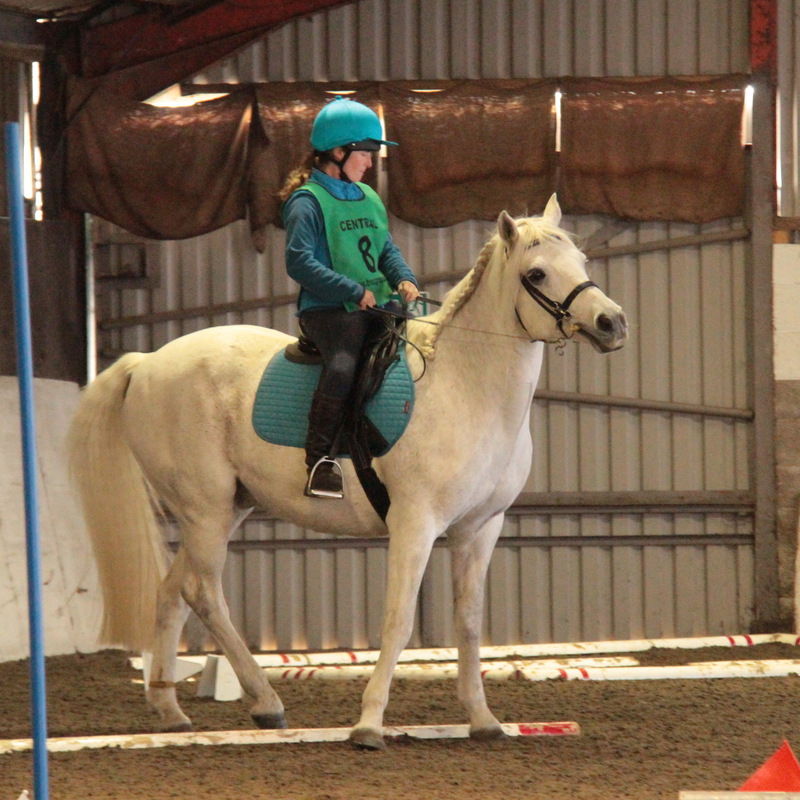 Low farm is a split venue with the MA and first two obstacles in the outdoor arena, whilst the main course is in the indoor arena at the other end of the yard. The open class was the first class of the day and started in the outdoor arena. We started with the MA (control of paces). Twilight only started cantering in early September – after injury summer 2014, but has always in the past either scored the full 30 or 0 depending on whether or not he actually stays in the marked route. He was on form and stayed in gaining his full 30 marks. However, he rather sauntered on the walk back, scoring a 0, walking fast has never been a strong point. On to the obstacles. 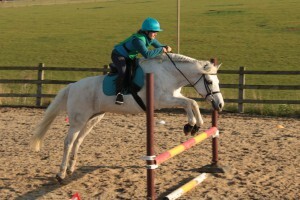 We started with the shamrock, only in trot as cantering tight circles does not agree with his dodgy legs. The jump came immediately after the shamrock, he hasn’t jumped in over a year, but there was no way he was letting me pull him out. 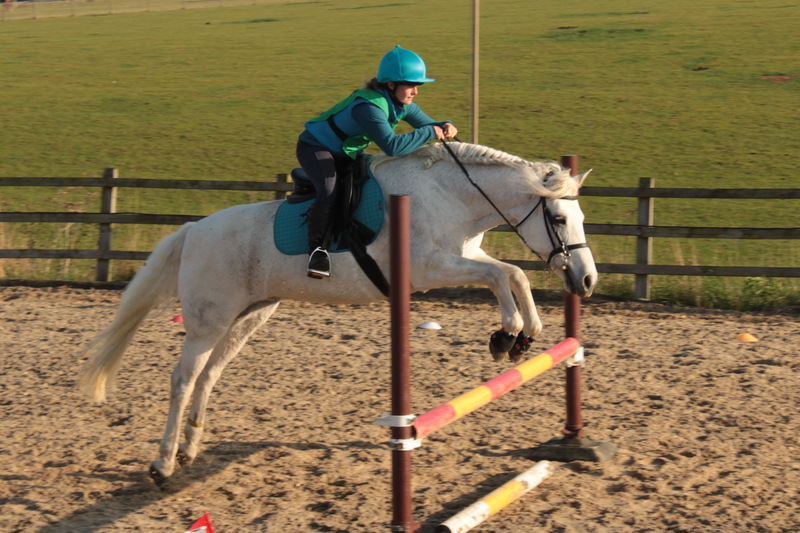 He hopped into canter and over the jump. 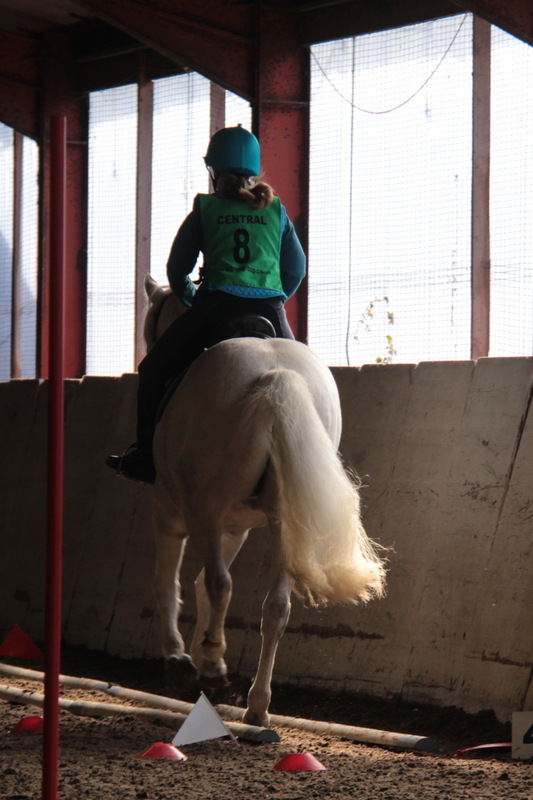 We then had to trundle across the yard to the indoor for the rest of the course. The first obstacle in the indoor was the rein back, which he did beautifully. Then a quick transition to canter to do the corridor, tapped a pole as he spooked at his reflection in the mirror. Then it was on to the neck rein, followed by the ridden bending (trotted) and S-bend. Next was the side pass, which is one of Twilight’s favourites and he did that perfectly. Off I hopped and we then did the led immobility, which he stood for nicely, with only a little shuffle. Lastly the offside mount from the block. Completed it OK, but I failed to actually check that all of his feet were in marked square – Doh. I was delighted with his round, he did everything I asked of him, and was rewarded with a nice red ribbon. We went on to try our hand at the topscore (my first time), pairs and in hand. It was a lovely day out, catching up with folks and meeting new friends. All ran smoothly and everyone seemed to enjoy themselves. Twilight and I were shattered at the end of the day. Thank you to all the helpers and judges who make these events possible.